In rasterized rendering, one of the primary tools we have at our disposal is textures. We use textures to store things like normal maps, roughness maps, pre-integrated lighting, and more. We can even abuse the texture interpolator to evaluate arbitrary polynomials when the texture contains coefficients from the Bernstein Basis form of the polynomial (https://blog.demofox.org/2016/02/22/gpu-texture-sampler-bezier-curve-evaluation/). In raytracing, we do still have the ability to use textures, and we will surely use them in fun new ways with the directx ray tracing support that was recently announced, but raytracing also gives us a different kind of tool: queryable geometry that doesn’t necessarily have to have any correlation to what actually shows up on screen. This can be used for obvious things like soft shadows, reflections, volumetric lights, rendering non triangle based geometry (when doing procedural shapes), but it can be used for off label things too, just as we use textures for things other than putting color directly onto triangles. One way I mentioned that textures are (ab)used is for making lookup tables for functions (pre-integrating lighting, the famous PBR split sum texture, etc). A nice thing about using textures is that bilinear texture sampling is not very expensive on modern hardware compared to point sampling. This means that we can store data at whatever resolution we are ok with getting linear interpolation between. GPUs interpolate in fixed point with 8 bits for fractional pixels, so the interpolation does break down at a point, but it is still really nice to get interpolated data values cheaply. A not so nice thing about using textures for lookup tables is that texture data is stored in a regular grid, so you need to make the texture high enough resolution for the most demanding (high frequency) part of the data, while wasting higher resolution on the parts of your data that don’t need it. Imagine that you have some function z=f(x,y) that you are trying to make a lookup table for. Let’s say that this data is nearly linear in almost all the places you care about, but that there is a very important, smaller section that has a curved part, where getting the curve right is very important to your results. You’d have to use a high resolution texture to make sure the curved section was well represented, but the other parts would have much higher resolution than needed to represent them which is wasteful to memory and loading time. In your mesh, the z component of every vertex is the value f(x,y), and it’s up to you which (x,y) values to store. This is in direct contrast to a texture, where the (x,y) values are decided for you and are on a fixed grid. For the specific function we mentioned, you could use only a few vertices in the places that were linear, and use a lot more vertices in the curved section. How many vertices to use is entirely up to you based on your quality, performance, and memory usage desired. To actually get a value of this function out for a specific (x,y), assuming the function was always positive, you could cast a ray at the mesh from the position (x,y,0) in the direction (0,0,1). The time t of the ray intersection with the mesh is the value of z at f(x,y). Something nice here is that you still get linear interpolation, like in the texture case, since a ray vs triangle test does a linear interpolation between the points on the triangle, using barycentric coordinates. Something else nice is that when you get your intersection information from the ray vs triangle test, you will likely have access to the barycentric coordinates of the intersection, as well as per vertex data. This means that you could store other information per vertex and get a linearly interpolated result, including the data from other functions with entirely different shapes. This is one way to get around the fact that a texture lookup can give you multiple values as a result (RGBA), while a raytraced lookup can only give you one (ray intersection time) with a naive implementation. This also lets you do a SIMD type thing, where if you have N functions you are always going to look up for the same input values (Think: diffuse and specular term of image based lighting), that you can do one raytrace to get the answer for all queries. The “single value result” where you get only a time t ought to be more performant than the multiple value result where you (manually) interpolate vertex data, but as vertex data interpolation is the common case for using the raytracing API, i wouldn’t expect it to be unusably slow for a reasonable amount of data. To make things really clear and explicit, you could literally replace a cubemap texture lookup with a raytrace into a scene instead, using the same direction vector (of course!). The time down the ray that the intersection happens would be the value of your cube map lookup in that direction. Since that’s only a single value, you could encode more values per triangle vertex and use the barycentric triangle interpolation to get the other values as well. This all works exactly like a texture lookup works, except you get to define your data set sparse in some areas, and dense in others. You are suddenly in control of your data sampling across the entire domain of your data! When Should We Actually Do This? So I don’t actually know how the performance of something like this would be on modern video cards – let alone future ones that are more geared to raytracing. Experiments should be done to see if it can ever be faster than textures, use less memory than textures, or give higher quality than textures, and by how much under what circumstances. How I’ve laid this out is just one of many ways to make a ray based lookup table, each with their own pros and cons. For instance, if you have some hemispherical function z=f(x,y) where x and y are azimuth and altitude, the linear interpolation offered by this setup won’t be that great because the function is laid out like a heightfield, when the data really is hemispherical in nature. If you instead changed the geometry to literally be a hemisphere that has points pushed in and pulled out, and you convert the angular coordinates to cartesian (a normalized direction vector) before the lookup, the linear interpolation offered by the intersection tests is going to be a lot friendlier to your data set. I also wonder if there are better ray tracing acceleration structures than a generic solve (BVH with surface area heuristic? ), when you intend to use the geo as a lookup table. I feel like knowing that the ray will always be vertical from the z=0 plane is important knowledge that could be used to make a better data structure. A grid based solution sure sounds decent (which ironically is how a texture works). Anyhow, a total random idea I wanted to share. So being real for a sec, we obviously can't brute force high quality raytracing results (pathtracing) of typical game scenes (of triangle meshes) in real time. However, with cleverness I know we can do some amazing things in the new paradigm. That's what I'm excited about. If you try this and get any details of perf, quality, mem use, etc please share here or hit me up on twitter at https://twitter.com/Atrix256. A raytracing API has been announced for DirectX and it seems like real time raytracing may finally be here? MSDN: Announcing Microsoft DirectX Raytracing! There is some nice documentation in the SDK zip file, in the doc folder. I’ve been lucky enough to be in a position to have played with it for a little while pre-release (about 1-2 weeks of time total) and it is pretty fun. I’ve been playing with it from a purely triangle mesh perspective (don’t hate me! I know, I know…) and it seems like a hybrid rasterization / raytracing is the most realistic way to go there – eg, primary rays are rasterized, and maybe you do some rasterization style post processing. You actually don’t lose a whole lot going this way if you get creative. For instance, you could ray trace primary rays for non triangle based geo and take the minimum between that intersection time and the rasterized one. The only thing I feel like you lose is the ability to have the rays themselves deviate from a typical frustum setup, since you can’t really “distort rays” very easily while rasterizing. Bottom Level Acceleration Structure – This is a “per object” acceleration structure. It can either be made from a triangle mesh, or you can specify that it’s a procedural shape. If it’s a procedural shape, you provide a bounding box and an intersection shader. The procedural shape will be useful for raymarching and other non triangle based ray-geometry intersection techniques. Top Level Acceleration Structure – This is a “scene” acceleration structure. It contains instances of bottom level acceleration structures, each able to have their own instance data (like a transformation matrix). Unfortunately the acceleration structures are made at runtime, and cannot be cached off to disk or similar. It’s a loading time cost that currently is seemingly unavoidable. Ray Generation – This generates the primary rays. You could think of this like a compute shader that you author and run once per pixel. It’s also possible to do things like invoke it for each 2×2 pixel group in case you wanted to be able to have derivatives like when rasterizing. You call TraceRay() for each ray you want to generate, and you can use the results however you see fit. It’s typical you’d write the results to a texture or uav though. Whenever you call TraceRay(), you can provide payload data which can be read from and written to by the other shaders. This is useful for sending parameters down with the ray, or having other shaders return information like integrated fog density. Any hit – Optional. As a ray traverses the acceleration structure, it will test objects in an order that is likely not front to back. You can supply an “any hit” shader that gets called during this process. You can read or write payload data in this shader, and you can also tell it to ignore a hit (useful for if you are doing alpha testing from a texture) or you can tell it to accept a hit and stop looking for other hits (useful perhaps for shadow rays). If you omit this shader, the hardware/software can make more assumptions about the ray traversal though and possibly run more quickly. So, you should only use it when necessary. You have access to barycentric information if intersecting with a triangle, and the triangle (index) itself. I’m unsure what you get in the procedural case. Closest Hit – Optional. Called with the information about the closest hit. Called after all “any hit” shaders have been invoked. You have access to barycentric information if intersecting with a triangle, and the triangle (index) itself. I’m unsure what you get in the procedural case. You can call TraceRay() from this shader to spawn secondary rays. Miss – Optional. Called if there are no hits for a ray. You could set some fog density to MAX_FLT, or could perhaps use this for shadow rays, assuming that there was a hit unless a miss shader was invoked. You can call TraceRay() from this shader to spawn secondary rays. Yes, ray shaders can be recursive! a closest hit shader could spawn 3 rays which then have a closest hit which each spawn one more ray. There is a maximum stack depth, but recursive rays are totally supported. Instance Masking – Each geometry instance can have an 8 bit mask. When you shoot a ray out, you can give an 8 bit mask that is ANDed with that instance mask, and will only consider geometry for intersection if the result is non zero. This is a bit like a stencil buffer. A minimum and maximum time allowed for collision down the ray. This lets you ignore self intersection of secondary rays by setting the minimum to be greater than zero. The maximum time is useful for things like when shooting shadow rays at point light sources, to make sure you stop searching for occluding geometry at the light source. There is the concept of a “Hit Group” which contains 0 or 1 of each shader type: intersection, any hit, closest hit. You can specify a hit group per instance in the top level acceleration structure. An intersection shader MUST be given for procedural geometry and MUST NOT be given for triangle based geometry. If a shader is not specified on a hit group, it falls back to a default shader of each type that you specify. 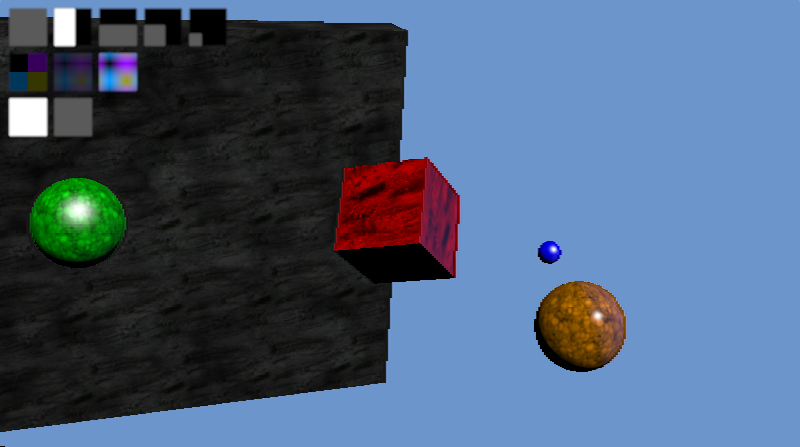 This is how you can make it so some objects have different behaviors than others for ray intersection / traversal etc. You can also specify tables of shaders where shaders are accessible via indexing. This lets you pass numbers around to use in calculations for shader table indexing. In effect, this gives you the ability to have “function pointers” of shaders, and can even be exploited for non raytracing uses wherever having function pointers in shaders would be useful. Lastly, this is something not super obvious when starting on raytracing, but sampling a mip mapped texture is a bit of a challenge because you no longer have automatic screen space derivatives of uv’s! There is an amazing shadertoy called “Tiny Clouds” by stubbe (twitter: @Stubbesaurus) which flies you through nearly photorealistic clouds in only 10 lines of code / 280 characters (2 old sized tweets or 1 new larger sized tweet). The code is a bit dense, so I wanted to take some time to understand it and share the explanation for anyone else who was interested. Rune (the author) kindly answered a couple questions for me as well. Thanks Rune! Here is the code in full. The texture in iChannel0 is just a white noise texture that is bilinearly sampled. Every pixel does a ray march from far to near. It does it backwards to make for simpler alpha blending math. At every ray step, it samples FBM data (fractal brownian motion) to figure out if the current position is below the surface of the cloud or above it. If below, it alpha blends the pixel color with the cloud color at that point, using the vertical distance into the cloud as the cloud density. Pretty reasonable and simple – and it would have to be, to look so good in so few characters! Let’s dig into the code. Line 1 is a define that we’ll come back to and line 2 is just a minimal definition of the mainImage function. p – this is the variable that holds the position of the ray during the ray march. It isn’t initialized here, but that’s ok because the position is calculated each step in the loop. It is interesting to see that the y component of p is never used. p.x is actually depth into the screen, p.z is the screen x axis, and p.w is the screen y axis (aka the up axis). I believe that the axis choices and the fact that the y component is never used is purely to make the code smaller. d – this is the direction that the ray for this pixel travels in. It uses the same axis conventions as p, and the y component is also never used (except implicitly for calculating p.y, which is never used). 0.8 is subtracted from d.z and d.w (the screen x and screen y axes). Interestingly that makes the screen x axis 0 nearly centered on the screen. It also points the screen y axis downward a bit, putting the 0 value near the top of the screen to make the camera look more downward at the clouds. c – this is the color of the sky, which is a nice sky blue. It’s initialized with constants in x and y, and then d is used for z and w. d.xy goes into c.zw. That gives c the 0.8 value in the z field. I’m sure it was done this way because it’s fewer characters to initialize using “d” compared to “.8,0.” for the same effect. Note that c.w is used to calculate O.w (O.a) but that the alpha channel of the output pixel value is currently ignored by shadertoy, so this is a meaningless by product of the code, not a desired feature. Line 4 initializes the output pixel color to be the sky color (c), but then subtracts d.w which is the pixel’s ray march direction on the screen y axis. This has a nice effect of making a nice sky blue gradient. It gets darker blue towards the top – where d.w is positive – because a positive number is being subtracted from the sky color. The color values get smaller. It gets lighter towards the bottom – where d.w is negative – because a negative number is being subtracted from the sky color. The color values get larger. f is declared – f is the signed vertical distance from the current point in space to the cloud. If negative, it means that the point is inside the cloud. If positive, it means that the point is outside (above) the cloud. It isn’t initialized here, but it’s calculated each iteration of the loop so that’s fine. s is declared – s is a scale value for use with the FBM data. FBMs work by sampling multiple octaves of data. You scale up the position and scale down the value for each octave. s is that scale value, used for both purposes. This isn’t initialized but is calculated each frame so that’s fine. t is declared and initialized – t (aka ray march step index) is initialized to 2e2 aka 200. It was done this way because “2e2” is smaller than “200.” by one character. Note that the for loop takes t from 200 to 0. The ray marching happens back to front to simplify alpha blending. The sin(dot(x,x)) part I want to talk about briefly below. p is calculated – p (aka the position in the current step of the ray march) is calculated, and this happens every step of the loop. p is t (time) multiplied by the direction of the ray for this pixel, and multiplied by .05 to scale it down. The reason that sin(dot(x,x)) is added to the “ray time” is because the ray is marching through voxelized data (boxes). Unlike boxes, clouds are supposed to look organic, and not geometric. A way to fight the problem of the data looking boxy is to add a little noise to each ray to break up the geometric pattern. You can either literally add some noise to the result, or do what this shader does, which is add some noise to the starting position of the ray so that neighboring rays will cross the box (voxel) boundaries at different times and will look noisy instead of geometric. I can’t see a difference when removing this from the shader, and other people have said the same. Rune says in the comments that it’d be on the chopping block for sure if he needed to shave off some more characters. He reached his 280 character goal, so no there is no need to remove it. Line 6 adds the current time to p.x and p.z. Remember that the x component is the axis pointing into the screen and the z component is the screen space x axis, so this line of code moves the camera forward and to the right over time. Line 7 sets / initializes s to 2. Remember that s is used as the octave scale for sample position and resulting value. That will come into play in the next line. First let’s look at line 1, which is the “T” macro. That macro samples the texture (which is just white noise) at a position described by the current ray position in the ray march. the s variable is used to scale up the position, and it’s also used to scale down the noise value at that position. The same position involves p.zw which is the screen space x and y axis respectively, but also includes p.x which is the axis pointing into the screen. This maps a 3d coordinate to a 2d texture location. I have tried making the shader sample a 3d white noise texture instead of doing this and get what looks to be the same quality results. The macro also multiplies s by 2 each sample, so that the next sample will sample the next octave. An interesting part of this texture coordinate conversion from 3d to 2d though is that the x component is ceil’d(the axis that goes into the screen). I’m not sure if there is any logic to this other than it’s a way to transform the 3d coordinates into a 2d one for the texture lookup. Below is what it looks like without the ceil in the macro for s*p.x. It stretches the noise in a weird way. The uv coordinates sampled are divided by 2e2 (which is 200, but again, fewer characters than “200.”). I believe this value of 200 matches the number of ray march steps intentionally, so that the ray marches across the entire texture (with wrap around) each time. Line 8 uses this macro. We set f to be p.w, which is the ray’s height. 1 is added to the height which moves the camera up one unit. Lastly, the T macro is used to subtract 4 octaves of noise from f.
The result of this is that f gives us a signed distance to the cloud on the vertical axis. In other words, f tells us how far above or below the surface of the clouds we are. A positive value means the position is above the clouds, and a negative value means the position is below the clouds. Line 10 is the close of the function, so line 9 is the last meaningful line of code. Else, “O”. This is a dummy statement with no side effects that is there to satisfy the ternary operator syntax with a minimal number of characters. I was looking at that formula for a while, trying to figure it out. I was thinking maybe it was something like a cheaper function fitting of some more complex light scattering / absorption function. Remember the marching is from far to near which simplifies the calculations quite a bit. If the marching was reversed then you would also need to keep track of an accumulated density. One obvious question then would be: why is “1+f*c.zyxw” the cloud color of the current sample? In that equation, when density is 0, all we are left with is white. As density increases, the color gets darker. I’m not an expert in atmospheric rendering (check links at the bottom for more info on that! ), but it looks more natural and correct for it to do the reverse. What we really want is for red to drop off the quickest, then green, then blue. I believe a more correct thing to do would be to subtract sky color from 1.0 and use that color to multiply density by. However, reversing the color channels works fine in this case, so no need to spend the extra characters! Another obvious question might be: why is the amount of lerp “-f*.4”? It probably looks strange to see a negative value in a lerp amount, but remembering that f is negative when it’s inside a cloud means that it’s a positive value, multiplied by 0.4 to make it smaller. It’s just scaling the density a bit. Using bilinear interpolation of the texture makes a big difference. If you switch the texture to using nearest neighbor point sampling you get something like this which looks very boxy. It looks even more boxy when it’s in motion. One thing I wanted to try when understanding this shader was to try to replace the white noise texture lookup with a white noise function. It does indeed work as you can see below, but it got noticeably slower on my machine doing that. I’m so used to things being texture bound that getting rid of texture reads is usually a win. I didn’t stop to think that in this situation all that was happening was compute and no texture reads. In a more fully featured renderer, you may indeed find yourself texture read bound, and moving it out of a texture read could help speed things up – profile and see! It’s worth noting that to get proper results you need to discretize your noise function into a grid and use bilinear interpolation between the values – mimicing what the texture read does. Check my unpacked version of the shader in the links section for more details! Something kind of fun is that you can replace the white noise texture with other textures. The results seem to be pretty good usually! Below is where i made the shadertoy use the “Abstract1” image as a source. The clouds got a lot more soft. Thanks for reading. Anything that I got wrong or missed, please let me and the other readers know! My motivation for learning more about this stuff is that I’m starting to make a marble madness inspired game, and I’m planning to do hybrid rendering between rasterization and ray based techniques. This post will focus more on how to make these features work for you in ray tracing, and less about the reasons for why they work the way they do. This post is more about practical implementations, and less about rigorous explanations. If you have any questions, comments, corrections or additions, feel free to leave in the comments section at the bottom, or feel free to hit me up on twitter at @Atrix256. The first thing to talk about is reflection. More specifically we are going to be talking about SPECULAR reflection. Specular is defined by the dictionary to mean “of, relating to, or having the properties of a mirror.”, so what we normally think of as reflection (like from a mirror) is in fact specular reflection. There is non specular reflection, aka diffuse reflection, which just means that light is reflected off of a surface in a non mirror like way. This is accomplished with diffuse lighting where commonly we dot product the normal of a surface with the direction from the surface to the light to know how much to light that point on the surface. If specular reflection is how mirrors reflect, and diffuse reflection is how regular diffuse surfaces work, then you might wonder what specular lighting is all about. A specular highlight is actually just a cheap approximation to doing a mirror like specular reflection of a light source, so it is a cheap kind of specular reflection. Let’s talk about how to do real mirror like specular reflection in a ray tracer. When light hits a surface, some amount of the light will be reflected, and some amount of the light will be transmitted into the object. Transmitted light is used for the diffuse shading. A common way to deal with this is to define a reflectivity of a surface as the amount of light it reflects in percent and use 100% minus that amount as the transmitted amount. You might say that 2% of light that hits a surface reflects. That means that 98% of the light that hits a surface is transmitted and used for the diffuse shading. The higher the reflectivity percent, the more reflection you get, and the less diffuse shading you get. Turning down reflectivity has the opposite effect. How do you calculate the reflected color of a point on a surface though? You simply calculate the ray that reflected off of the surface, and calculate the color of what that ray hit. To calculate a reflected ray, you need to know the direction that the ray was traveling when it hit the surface (The incident direction), you need to know the location that the ray hit the surface (the surface location), and you need to know the normal of the surface at the intersection point. Note that in hlsl and glsl there is a function called “reflect” which takes the incident direction, and the surface normal, and returns you the reflected direction. There are other ways to make sure you don’t hit the same object again, but pushing the ray away from the object a small amount really does work pretty nicely in practice. I mentioned in the last section that whatever light wasn’t reflected when it hit a surface was transmitted. I also said that the transmitted light was used for diffuse shading. In reality, it’s passed through the “bidirectional scattering distribution function” aka BSDF. You may have heard the term “bidirectional reflection distribution function” aka BRDF. A BRDF only deals with the hemisphere (half a sphere) that surrounds the surface normal. The BSDF on the other hand deals with the full sphere surrounding a surface normal so BRDF is a subset of what is possible with the BSDF. Because the BSDF deals with an entire sphere, that means that it can handle reflection (specular and non specular) like the BRDF can, but it can also deal with transparency and refraction, where some of the light travels THROUGH an object. In a path tracer where everything is physically accurate and mathematically precise, we would be interested in dealing with a BSDF and integrating over the sphere, but since we are working with a ray tracer, our physical accuracy needs are a lot lower – we only want a result that looks plausible. What we are going to do for our transparency is calculate a direction that the ray is going to travel through the object, ray trace that ray to get a color, and use the transmitted light (the portion of light that isn’t reflected) as a multiplier of that color, that we add to the reflected amount of light. Now that we have transparency, let’s talk about refraction. Refraction is a physical phenomenon where light bends (“changes speed” i guess but that sounds a bit suspicious for light), as it hits a boundary between two different surfaces. How a ray bends when it refracts depends on the ration of the refractive index that it’s leaving to the refractive index that it’s entering. AKA outside/inside. HLSL and GLSL have a function called refract which take the incident vector, the surface normal vector, and that ration of refractive indices, and return the refracted ray. When you do a raytrace down the refracted ray, you will have the same problem as when tracing the reflected ray, that you may hit the same surface you just hit again erroneously. To help that, you once again just move the ray slightly away from the surface. Here is a rendering where the sphere has 10% reflectivity, 90% transmittance, an air refractive index of 1.0, and a refractive index of 1.125 for the sphere. You can see how the light bends as it goes through the object and looks pretty neat! There is an interesting property in our world: If you look at something straight on, it’s the least reflective it will be. If you turn it nearly 90 degrees where it’s nearly edge on, it will be the most reflective it can be. Many surfaces will become almost perfectly reflective when you view them almost edge on. Go try it out with a wall in your house or a glass or other things. Weird huh? That’s called Fresnel, and is something we can also make use of in ray tracing to get a more realistic image. Instead of just always using the reflectivity amount of the surface, we use the Fresnel equation to figure out how much reflectivity an object should have based on the view angle versus the surface normal, so that when it’s more edge on it becomes more reflective. At minimum the reflectivity will be the reflectivity of the surface, and at maximum the reflectivity will be 100%. The amount we transmit for either refraction or diffuse will be 100% minus however much percentage is reflective. It looks quite a bit better with fresnel doesn’t it?! Our tale of reflection is complete, so let’s go back to refraction / transparency and finish up the last two items. The way that the Fresnel equation works, it’s possible that when moving from a material with a higher index of refraction to a lower one, that the amount of refraction can actually drop to zero percent. In this case, the light doesn’t exit the higher refractive index object and instead ONLY reflects back into the object, because the reflective amount becomes 100%. There isn’t a whole lot to say about this, because you can see that this is even accounted for in the GLSL Fresnel function from the last section. However, if you are ever under water in a swimming pool and look up to see the water surface looking like a mirror, that is total internal reflection in action. Beer’s law is the last item to talk about, and relates to transparent surfaces. Beer’s law deals with light being absorbed over distance as it travels through a material. Beer’s law is why a thin piece of jello is mostly colorless, but a thicker piece of jello has a much richer and deeper color. OBJECT_ABSORB is an RGB value that describes how much of each color channel absorbs over distance. For example, a value of (8.0, 2.0, 0.1) would make red get absorbed the fastest, then green, then blue, so would result in a blueish, slightly green color object. Now that we have the individual components worked out let’s talk about how to put it together. Firstly, when a ray hits any surface, you need to use the Fresnel equation to get the multiplier for the reflected and transmitted light. Next you calculate the reflected and transmitted light by recursively raytracing. The transmitted light is either used for the diffuse shading, the transparency/refracted ray, or some combination of those two (technically, it’s all up to the BSDF we are approximating). Then, you multiply the reflected light by the reflected amount from the Fresnel equation, and the transmitted amount by 100%-reflectionAmount and add the results together. (Quick side note, if you have emissive color on the surface aka the object glows, you would also add that in here). Since raytracing is recursive, you would do this each time a ray intersected with an object. In other words, each intersection causes the ray to split into two rays. As you can imagine, this can make the rendering quite complex, especially on the GPU where you can’t even do real recursion. One way to help limit the recursiveness a bit is when you are calculating your reflection and transmittance amounts, you can choose a threshold like say 1% where if the reflection is under 1% it clamps it to 0%, and if it’s greater than 99% it clamps it at 100%. You can then choose not to recurse down a specific ray if the ray’s multiplier is 0. The end result will be that reflections or transmittance rays that don’t contribute much to the end result won’t be followed at all. If you are willing to sacrifice some visual quality to not have to split your ray into two at each object intersection, you could also figure out if reflection or transmittance has the higher multiplier, and make the ray only follow one of the paths. If you were doing this in a path tracer, you could choose which one to follow randomly, using the multiplier as a weight for the random selection. The problem in both of these two optimizations is that the multiplier is only half of the information though so may incorrectly choose the less meaningful contribution. The other half of the information is the color of the ray if you followed it. The reason for this is that you might have a low multiplier for a really bright spot (caustics have this problem commonly! ), or vice versa you may have a high multiplier for a dull featureless spot. With path tracing, if you take enough samples, it all washes out in the averages, and with ray tracing, maybe you accept that it will do the wrong thing sometimes, to stay a real time algorithm, but it’s important to know how this type of choice can fail for you. (Side note, this sort of stuff is what importance sampling in path tracing is all about – trying to make rays follow more meaningful paths to get better results quicker). When doing real time raytracing you also often have to decide how many times you want to allow a ray to bounce around. In the shadertoy that goes with this post, that parameter is MAX_RAY_BOUNCES and I have it set to 10. Interestingly, setting it to 1 has no visible impact on the sphere at all, which is a nice improvement. For the box, a value of 3 seems to be the maximum it needs. 3 also seems to be the magic number for the geometric gem type shape. So, 10 is overkill, but i left it at that in case people play with parameters and change them to values which would require more bounces. Lastly I wanted to mention that in the scene that I rendered, I did a small “trick” to make it so I didn’t need to do full recursive splitting of rays at each intersection. I did this by making it so the main object in the center of the scene was the only object that had reflection. This way, I only need to split the ray into two if i hit the main object. Furthermore, when I’m splitting the ray at the main object, the ray that gets the color for the outside world (versus the inside of the object) is a single non recursive ray cast since it can’t hit anything reflective. The result is that at each intersection of the sphere, i do a simple non recursive ray cast for the ray that is going outside of the main object, then i continue the iterative ray on the inside of the object until i run out of bounces. Doing this causes a recursive process to become an iterative one, which is much friendlier on the gpu.